The Canadian Domestic Homicide Prevention Initiative (CDHPI) is a knowledge hub developed to share promising practices in homicide prevention. In particular, the CDHPI is focused on identifying emerging risk assessment, management, and safety planning strategies. The site provides up to date information on domestic violence death review committees across Canada as well as recent research in this area. In particular, the site highlights The Canadian Domestic Homicide Prevention Initiative with Vulnerable Populations (CDHPIVP) is a five-year SSHRC partnership grant (2015-2020) that explores the unique needs of Indigenous, immigrant and refugee, rural, remote, and northern communities, and children exposed to domestic violence. Click here for Canadian Domestic Homicide Prevention Initiative (CDHPI) Resources. Click here for a list of conferences resources. Cut It Out teaches basic warning signs of woman abuse and helps the stylists and salon professionals become comfortable having a discussion with their clients. It also familiarizes them with community programs that can help the woman. Salon employees are in a perfect position to help because they work in an environment where women feel comfortable and they develop trusted relationships. Cut It Out education sessions provide spa and salon workers with information and resources to reach out to their clients and connect them to supportive resources in the community. Click here for Cut It Out Resources. DV@WorkNet works to mobilize knowledge about domestic violence and its impacts on workplaces and workers around the world. Working with partners we have collaborated on: National and international survey research to understand the scope and impact of the problem; Survey research to understand the specific impacts of offender behaviour, on their own productivity and on the workplace; A Canadian-led international network to mobilize knowledge about domestic violence in the workplace, including research questions, new/promising evidence, and best practices. 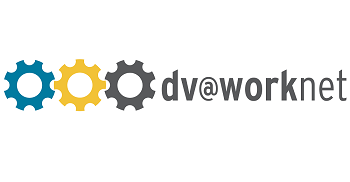 Click here for DV@WorkNet resources. Click here for first ever Canadian survey on DV in the workplace..
It’s Not Right! was developed to educate and engage all Canadians on the issue of older adult abuse and neglect. We want to teach everyone to recognize warning signs and risk factors and to learn small practical steps that can add up to a big difference in someone’s life and in our communities. The Knowledge Hub is funded through the Public Health Agency of Canada and supports projects resourced through the initiative-- Supporting the Health of Victims of Domestic Violence and Child Abuse through Community Programs. These projects will connect the fields of health promotion and family violence prevention. All projects will research trauma-informed health promotion activities responding to the needs of victims. Anticipated outcomes will include the identification of innovative and promising trauma-informed practices to promote the health of those who have experienced family violence. 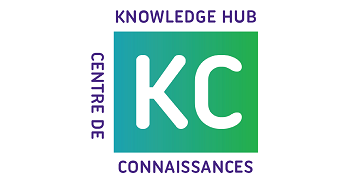 Click here for Knowledge Hub Resources. Make It Our Business provides information and education to help employers and other workplace stakeholders to meet their obligations under the Ontario Occupational Health and Safety Act. According to the Act, employers must prevent and respond to domestic violence in the workplace. 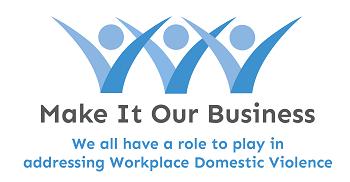 We develop resources to engage employers and other workplace stakeholders to prevent workplace domestic violence, to support employees at risk of or currently experiencing domestic violence, and to improve workplace health and safety. Make It Our Business also offers a variety of training options for the workplace. Click here for Make It Our Business resources. Neighbours, Friends and Families is a public education campaign to raise awareness of the signs of woman abuse so that those close to an at-risk woman or an abusive man can help. An Expert Panel guided the development of the campaign and supported the initial implementation in communities across the province. Many communities have participated in the campaign. Each has spread the word that, “We all have a role to play in ending woman abuse,” through tapping into local networks and relationships. 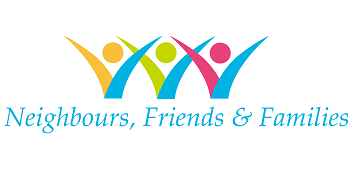 Click here for Neighbours, Friends and Families resources. The Learning Network covers the continuum of violence against women, including sexual and domestic violence, sexual harassment and stalking, and the effects of exposure to domestic violence on children. The project hosts knowledge exchanges and produces resources including newsletters, learning briefs, resource reports, core resource documents and interactive learning tools. Click here for Learning Network resources. Click here for full list of resources.